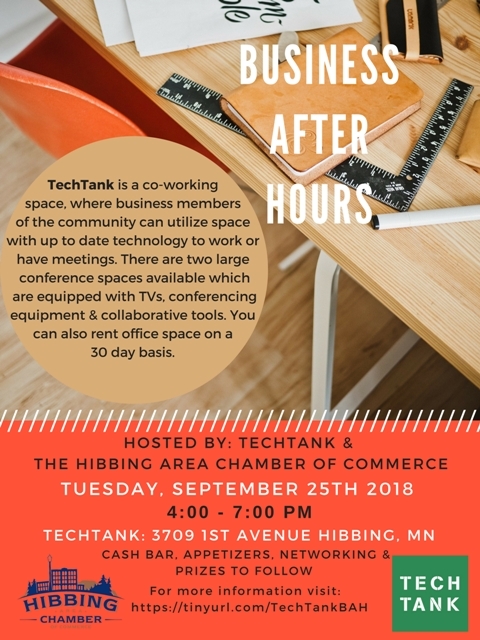 TechTank is Hibbing's new Co-Working space, offering shared work space, use of conference rooms and private offices to rent. We are looking for your feedback! We want to invite you to check out the new space before it becomes...new. We're down to the studs (literally) but the ideas and looks are picked out and we want to know what you think. Come on by and give us your thoughts on the design of our rooms, our member packages and a few other things. You can even help us name our member rooms. We'll have food, a cash bar and of course - prizes. We have some fun stations set up too. You'll get preview of what this space will look like and see it in it's preliminary stage. 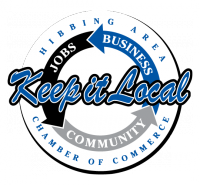 This will be a fun event and we hope to see you there.